- Application : Conditioning, Strengthening, Anti-allergic. Plant is rubbed on the gums in toothache and applied with a little oil for relieving headache and with sesame oil in elephantiasis. 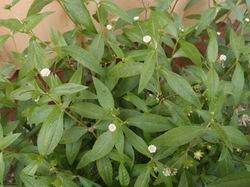 We offer optimal quality of Eclipta Alba (Bhrigraj) extract available in the market. 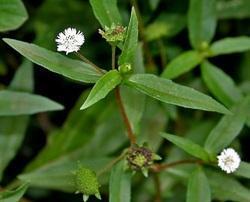 Eclipta Alba Extract is remarkable for its healing properties and is widely used in the preparation of many Ayurvedic medicines.